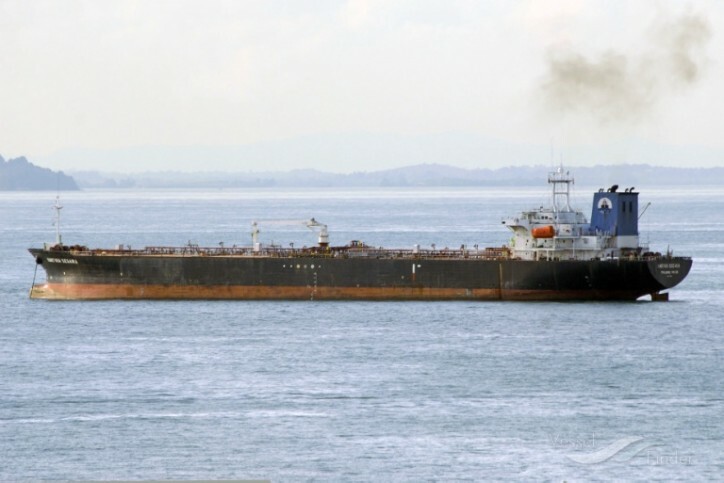 On 13 September 2017, at about 12.40am (Singapore time), the Maritime and Port Authority of Singapore (MPA) was notified of a collision between an Indonesian-registered tanker KARTIKA SEGARA and a Dominican-registered dredger JBB DE RONG 19 in Singapore territorial waters, about 1.7 nautical miles south-west of Sisters Island. 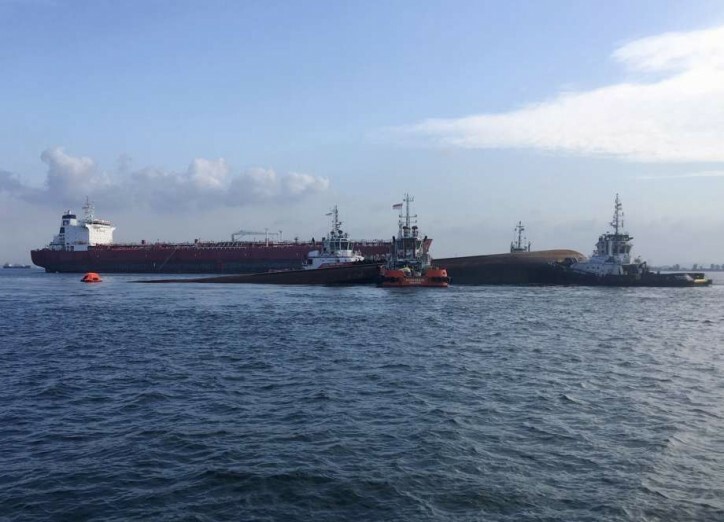 The dredger was transiting the westbound lane while the tanker was departing Singapore joining the eastbound lane of the Traffic Separation Scheme (TSS) in the Singapore Strait when the incident occurred. The Singapore Vessel Traffic Information System had provided navigational information to both vessels prior the collision. The dredger capsized and is currently partially submerged. A total of 12 crew ─ 11 Chinese nationals and one Malaysian ─ were onboard the dredger at the time of incident. Seven of the Chinese nationals have been rescued by the Singapore Police Coast Guard (PCG) and transferred to the Singapore General Hospital by the Singapore Civil Defence Force (SCDF) ambulances for medical treatment. Five crew remain unaccounted for. The tanker reported damage to her starboard bow but is stable and anchored at the Eastern Anchorage. Its 26 Indonesian crew did not sustain any injuries. MPA is leading the Search and rescue (SAR) operations and relevant Singapore agencies are rendering all assistance. Two MPA tug boats have moved the partially submerged dredger safely to an area near Pulau Senang for follow up underwater search operations. In addition, MPA has deployed three patrol craft to assist in the SAR operation and the Republic of Singapore Navy, SCDF and PCG have also deployed a total of seven vessels on scene to support the SAR. A Super Puma helicopter from the Republic of Singapore Air Force has commenced aerial search at 7am. MPA has also issued navigational broadcasts for ships to look out for the missing crew and to navigate with caution when in the vicinity of the incident site. There is no disruption to shipping traffic in the Singapore Strait.